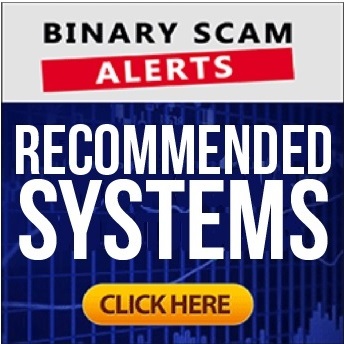 Binary Scam Alerts » Scam Reviews » Daweda Review, Scam Exchange Or Legit Automated Trading Software? The Daweda Exchange and Automated Trading System (ATS) is a fairly new trading platform and binary options robot in the industry, so our members were curious as to how this service fared and if it was recommended or should be blacklisted due to complaints and declined withdrawals. Our researchers were set to the task of determining what type of trading app this system was, so we put Daweda ATS to the test to measure accuracy levels as advertised, transparency, and profitability. It’s worth nothing that Daweda is a regulated exchange with CySec Licence Number 289/16. It completely different from what we are used to seeing. It’s also important to mention that an exchange operates differently than a standard broker does, and we will write about this difference extensively in our detailed Daweda review. We did notice affiliates promoting this platform, and it seems the advertising tactics may be construed as misleading or deceptive, but this is not necessarily the case. Keep reading to see if Daweda ATS is a trustworthy, legit, and genuine trading app, or a BLACKLISTED SCAM. What is Daweda ATS & Does it Really Work? Daweda ATS is not another binary options broker. In fact, it isn’t a broker at all. Daweda ATS is an Exchange platform that invites traders to buy, sell, and trade in various currency pairs available on the market. The DE (Daweda Exchange) is full of interesting features that make trading a lot simpler than it used to be. There is no intervention on the part of the exchange, so traders have the flexibility to trade the way they want to without interference. Also unlike other platforms, Daweda ATS is a peer-to-peer trading platform. This means that unlike a market maker model, two traders who have opposing views on the market will be matched to one another. This method ensures that someone walks away a winner every time. The platform doesn’t trade against any trades made within the system, so you aren’t competing against Daweda ATS, and it has no vested interest in seeing you lose. In theory, this makes the whole system more reliable and profitable. Note: If manual trading is not your style, Daweda ATS does have a trading robot with a $250 minimum investment. This option is available for traders who don’t enjoy or aren’t ready for manual trading in the financial market on their own. However, we do have a stipulation about this, and we will elaborate it as the review progresses. It’s true, Daweda ATS is a fully transparent service, hiding none of the usual last-minute fees or hidden surprises. They publish all statistics on the market and trades, and they even publish an Order Book for full disclosure and convenience. The Order Book shows traders all the current orders available for a specific asset neatly arranged in a single table. What’s truly helpful about this catalog is that it is updated in real time, so traders can see market activity at a moment to moment basis, staying up to date on other trades constantly. Additionally, all traders can see what other traders are doing so you can plan your investments accordingly. Armed with this knowledge, you can make more profitable entry price decisions.Incidentally, the website is also available in Russian, Arabic, Dutch, and French, so you can choose the language you are most comfortable with to trade in. Being an exchange platform, Daweda ATS has a wide array of assets to trade from. Forex options include EUR/USD, GBP/USD, USD/JPY, AUD/USD, USD/CHF, EUR/JPY, and USD/CAD. Available commodities include gold and oil, while indices span DAX future, S&P future, Dow Jones, and NASDAQ FUTURE. Barclays, BP, Deutsche Bank, Apple, and Google are some of the stocks that Daweda ATS trades in as well. The Daweda ATS expiry times range depending on the trade and contract. You can trade anywhere from 30 seconds to 60 seconds, but contracts can be set up so they expire within 5 minutes, 10 minutes, 15 minutes, 30 minutes, and 60 minutes from the trade initiation. A standard account has a minimum deposit of $100 and a minimum trade of $10. As we mentioned earlier, the auto-trading option requires a minimum of $250 to start investing. This is a typical amount that autopilot software asks, and it is a customary entry-level amount for traders who are just getting started. Traders can set as many trades as they like simultaneously. Trades are made in the form of contracts that are a fixed value. Traders select the contract and entry price, and then a trade order is placed. The system scans the platform for a counter-party to match your trade, and the contract remains in your Order Book until a suitable partner is found. This is simpler than it sounds because everything is streamed through the Order Book, so you can easily see the status of a contract, as well as its progress. The trading environment is clean and easy to understand. The Order Book format keeps everything uniform and organized into sections. The buttons and markings make it clear what the next step is, and Daweda ATS’s extensive FAQ section and customer support options ensure that you can ask questions and get answers at any point during the process. The image above illustrates an active demo account with open trades. It’s easy to see you have the ability to switch to auto-trading at the click of a mouse. What we didn’t like is the fact that we had a 100% success rate on demo mode, and when we actually started trading with real money the win ratio started fluctuating and abating into a random pattern. In this context we found the demo mode to be misleading and deceptive so when using it don’t let yourself be fooled that this is how your payout will look like. Put your thinking hat on and start asking the hard questions. Demo mode provides you with $500 of virtual cash. Use this to learn how the system works, make a few investments, and see whether or not Daweda ATS is the right option for you, all without having to spend any actual money, but don’t refer the performance as a valid testing tool for results and accuracy levels. The image above represents the daily exposure or risk you wish to take. Start off small with 2 lots and 10 daily trades. You also have stop loss and reversal if you want to sell your contract and cut your losses short. Daweda is both an Exchange as well as an automatic trading system which allows you to trade without any form of human intervention. Auto-traders are a popular choice for people who like a hands-off solution that allows them to conduct their daily activity, or alternatively don’t want to rely on human error to make their trades for them. Daweda ATS makes a 100% payout claim, but we all know nobody’s in it for the free lunch. So is this claim accurate? And if so, how does the platform make a profit? To start with, the claim is true but also extremely misleading – traders earn a 100% profit on successful trades only. This is a certain benefit to using their system over others which take a percentage of your earnings as a fee. Additionally, spreads are not charged a fee. The way Daweda ATS makes its money is by charging members a nominal fee for each contract placed on the platform. No slippage, so if your order isn’t filled on the level you’ve chosen or if the price varies, it will simply revert back to the Order Book to await a match. No charges for unmatched orders. It’s worth mentioning that the software is quite intuitive and easy to use, however the instructional video is more of a teaser than a tangible piece of information. You will not see any form of hype or exaggerated claims of guaranteed wins. Inflated bank accounts and fake testimonials are also missing, but we didn’t like the fact the demo mode is actually fake and set to win. This writer has not legal background, however just as the case with 24Option this operator is providing you with a trading arena and also acting as a kind of expert adviser (EA).If you lose trades and you use a third party software then the merchant (in this case Daweda) is insulated. However, this is not the case and technically speaking if you use their auto-trader and start losing trades then they receive the complaints and have to handle disgruntled traders. If this happens too much then they risk losing their license and will most likely deactivate their trading robot. In fact, this is a very likely scenario and we strongly believe CySec will force them to shut down their bot at some point. Nobody wants to be taken advantage of, but that is unfortunately a frequent occurrence when trading online. One thing that clearly separates Daweda ATS from the spam networks out there is that it doesn’t hold onto your money, whether you make it or lose it. While losses are inevitable, Daweda ATS doesn’t keep a chunk of it for themselves. What’s even more encouraging, when you earn money on a trade, you can easily withdraw the funds to your bank account without any problems or unnecessary delays. Additionally, Daweda ATS is licensed under the Cyprus Securities and Exchange Commission and is fully compliant with the European Markets in Financial Instruments Directive (MiFID) guidelines, as well as Anti Money Laundering regulations, and international Payment Card Industry standards. If you stay on the lookout for scams that are prevalent in the market, you can avoid a lot of frustration and financial loss. Do your best to avoid United Trading Network and CFD Society at all costs. We know you are really looking for a scam-free trading solution so have no fear. We have done extensive research and selected only the best and most consistent money-making apps. These are all proudly showcased in our recommended section. Daweda ATS is a regulated platform that offers easy trading options in a unique and straightforward and regulated platform. Is Daweda a SCAM? No, we believe it is not but we also don’t recommend using it since we tried out their Demo Mode and it is very deceptive since it lets you believe its easy to win. We can’t blacklist a regulated exchange, but we can certainly point out the conflict of interest in their automated signals app. Additionally, we were not impressed by the lack of speed the customer service desk displayed. Furthermore, using an app like Option Robot allows you to choose from a broad selection of brokers and use an independent trading robot. If you feel you must try out Daweda then we are the last ones that would advise you to refrain from doing so, however we do feel there are much better options waiting for you to take advantage of. As always, if you have further questions or queries please make sure to join our Facebook Group and subscribe to our YouTube Channel.